I love them!! I really do need more stripes and the colors are so gorgeous! I already purchased his new book. Fabulous! And his stripes are just beautiful! I, too, am a KF fan from long before he even got involved in quilting. My most recent purchase is "Simple Shapes, Spectacular Quilts". Oh I love stripes as bindings too!! Great choices. Those are gorgeous! Can't wait to see what you do with them. These look lovely! I've thought of ordering some of these (never seen them in person), but wasn't sure. 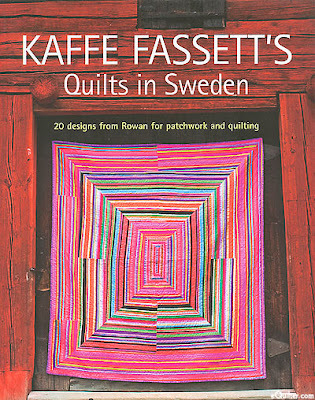 I'm looking forward to seeing how you use them (and seeing Kaffe's new book)! Looooove these stripes! MUST get my hands on them! And thanks for reminding me to order the book! Now I have to be patient... that's the hard bit! 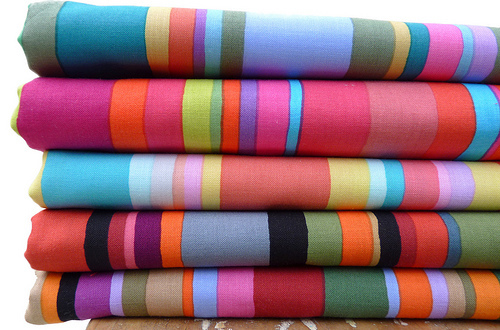 I love Kaffe's stripes too! I have to keep resisting buying more books...I already have too many. 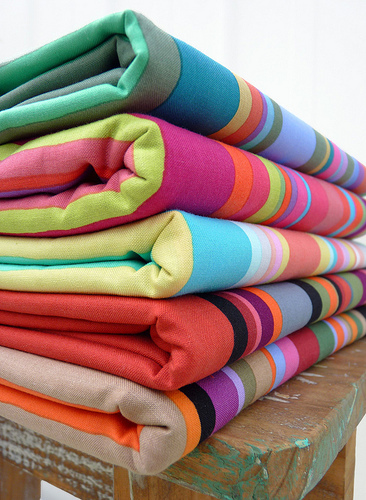 Those stripes are just wonderful, to die for colors! I've always wanted to do a striped quilt, maybe I should consider these!! Yummy. I have a couple of Kaffe's books and he does use color so well and is bold about it and I love that. I really yearn for those stripes. 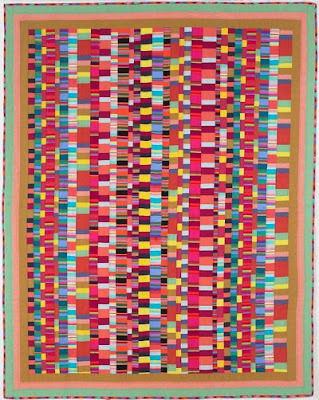 I love KF stripes too and I dream about making a quilt from it, but so far I've seen only woven stripes (and I was a little afraid of sewing from wovens). Is these are also wovens on regular quilting cotton? How delicious, I've just finished a handkerchief quilt from Passionate Patchwork and was wondering what was next! I'm now starting on the next book! Love those stripes I haven't worked with them yet but they are so striking!